The newly formed Kanto Cricket League(erstwhile Kanto Cup) is underway with three matches being played on April 22. In a major upset, minnows Wyverns, a Japanese University team subdued the fancied Shizuoka Kytes with excellent bowling performance by J. Hanada 5/22 and H. Kojima 4/7. 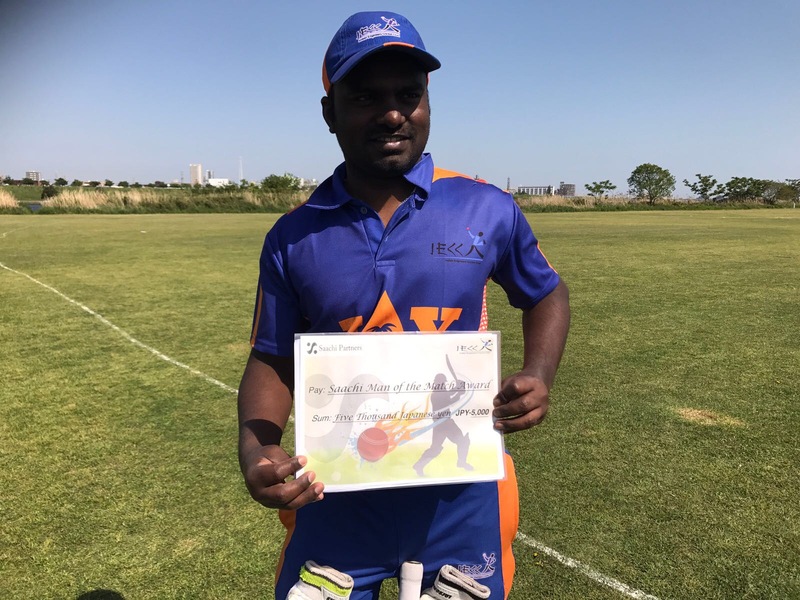 The first century of the KCL season was scored by Glenn Carter(106*) against Adore on the weekend match. Brief results and points tally so far can be viewed at www3.ewebcity.com/iecc/. Follow the link ‘Kanto Cricket League’. Read latest developments in Japanese cricket at Beyond The Test World on CricInfo. 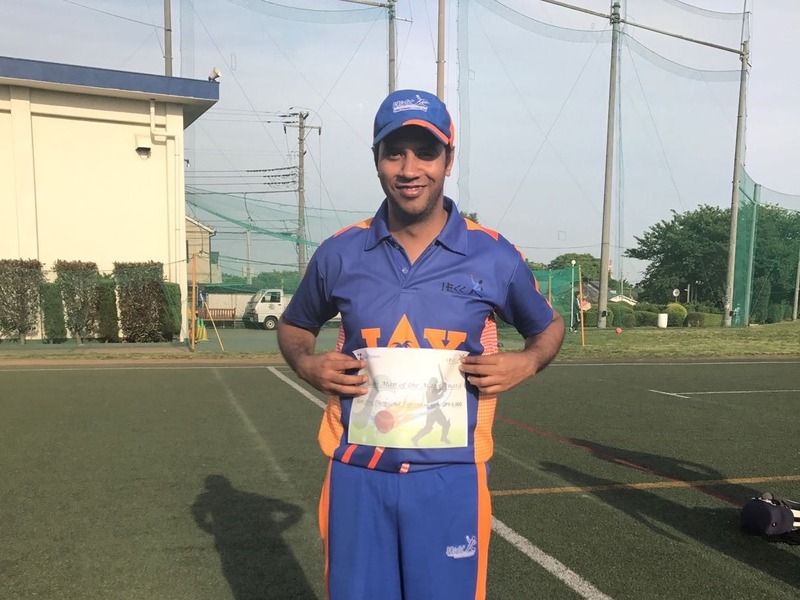 IECC web site has been updated with latest Kanto Cricket League results and other links. A new link to Archives has been added. You can find here all that was published on this site in the past. Follow the link ‘Archives’ under Etceteras. The focuses of the Administrator’s role will be those matters which will enable Japan to achieve its vision of progressing from an Affiliate to Associate Member of the ICC, a development which would see the JCA greatly benefit from additional support and attention. These will include; strategic and financial planning, playing and practice facility development, coach and umpire development programs, schools programs, fundraising/sponsorship, stakeholder relationships with government and facility owners etc., promotion and marketing of the sport in Japan, and initiatives to grow participation numbers in the sport amongst persons of all ages, both male and female. A combined release from the Victorian Cricket Association (VCA) & International Cricket Council (ICC) East – Asia Pacific Development Region announces that VCA has been engaged in a cricket partnership agreement with the Japan Cricket Association and Korea Cricket Association that will see it deliver coach, umpire, player and administrator development courses and other activities to grow the sport in these countries. The initial agreement is for a period of 12 months but it is hoped that this will develop into a long-term relationship. The partnerships will also involve the significant provision of cricket equipment and development resources as well as other suitable VCA support mechanisms. ICC East Asia – Pacific Development Manager, Matthew Kennedy, said, “Both these countries have proven to be pro-active within the Program and cricket is at an exciting stage in these nations with many current activities and initiatives. This additional support will be invaluable in assisting the hard-working volunteer officials and players in both Japan and South Korea to achieve their aims of cricket progression. The ICC Development Program contributes US$3.2 million globally on an annual basis to developing the game in non-Test countries. Darrell Hair’s next test – Developing Cricket umpires in East Asia – Pacific! Current Australian Test Umpire, Darrell Hair, has been engaged by the International Cricket Council to undertake the first ever Umpire Development Project in its East Asia – Pacific (EAP) Development Region. ICC “New Territories” in EAP – China, Indonesia, New Caledonia and South Korea. ICC East Asia – Pacific Development Manager, Matthew Kennedy, said, “The ICC Development Program is about progressing all aspects of the sport in the countries involved. This includes, but is not limited to, facilities and equipment, administration, elite and grass roots development, tournaments, junior and schools programs, coaching, umpiring and scoring. 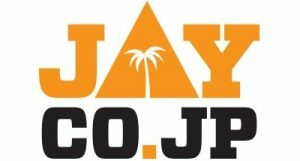 Saga C.C. resumed their old rivalry with Fukuoka C.C. by beating them in their first encounter: Saga C.C. 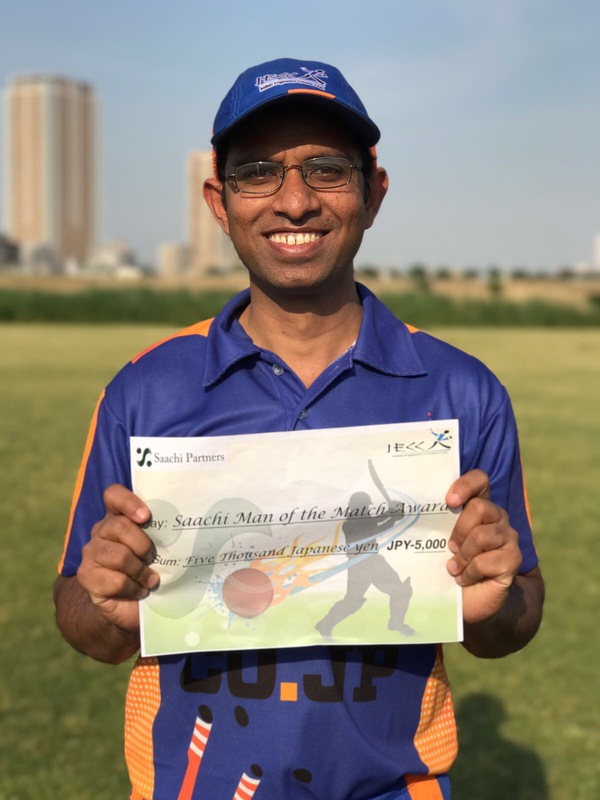 152/6 (Rohan 76*), beat Fukuoka C.C. 141(R. Bennett41; Thrisantha, 4/21), by only 11 runs!